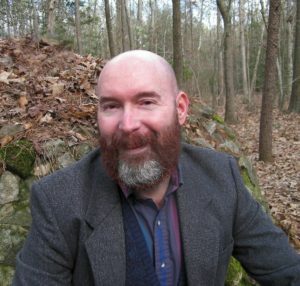 He is the author of Casting Sacred Space: The Core Of All Magickal Work; Spirit Speak: Knowing and Understanding Spirit Guides, Ancestors, Ghosts, Angels, and the Divine; Beneath the Skins with other books in the pipeline as well. Ivo is also a professional astrologer who has studied astrology since 1980 and has been offering consultations and readings since 1988. Ivo lives in Delaware in the woods of Seelie Court. Sam Wagar is a Canadian Wiccan High Priest (Initiated 3rd in 1985). He currently serves as the Wiccan chaplain to the University of Alberta in Edmonton and is chair of the Interfaith Chaplains’ Association there. He is also a Doctor of Ministry student at St. Stephen’s College and has taught a course in Wiccan Theology jointly through St. Stephan’s and Univ. of Alberta. Sam is the author of four books, with numerous other publications – book chapters, academic papers, articles in the Pagan press. 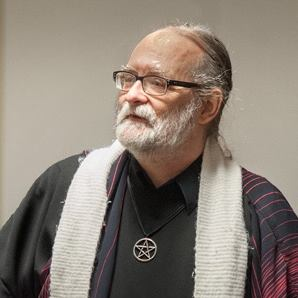 He is the founder of two religious retreats, a national Wiccan church and its British Columbia provincial daughter, a community school, an international Pagan pacifist network, and several covens and individual Temples. He is the founding HP of Pagans for Peace Tradition. Today, he is most interested in developing a formal theology for public Wiccan groups, building temples and public services for the larger community, mentoring new leaders in Pagan communities, making mead, and collecting and writing books.